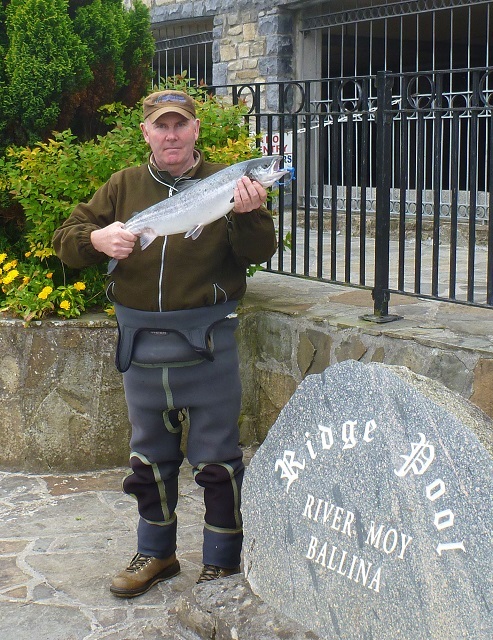 The first Moy Fishery salmon for the 2014 season was caught today, Friday, 2nd May by ghillie John Howley on the Ridge Pool. John was using a size 10 Yellow Ally's Shrimp fished on a slow sinking line. The sea-liced fish weighed 7.8 lbs. John Howley with the first Ridge Pool salmon of the season.